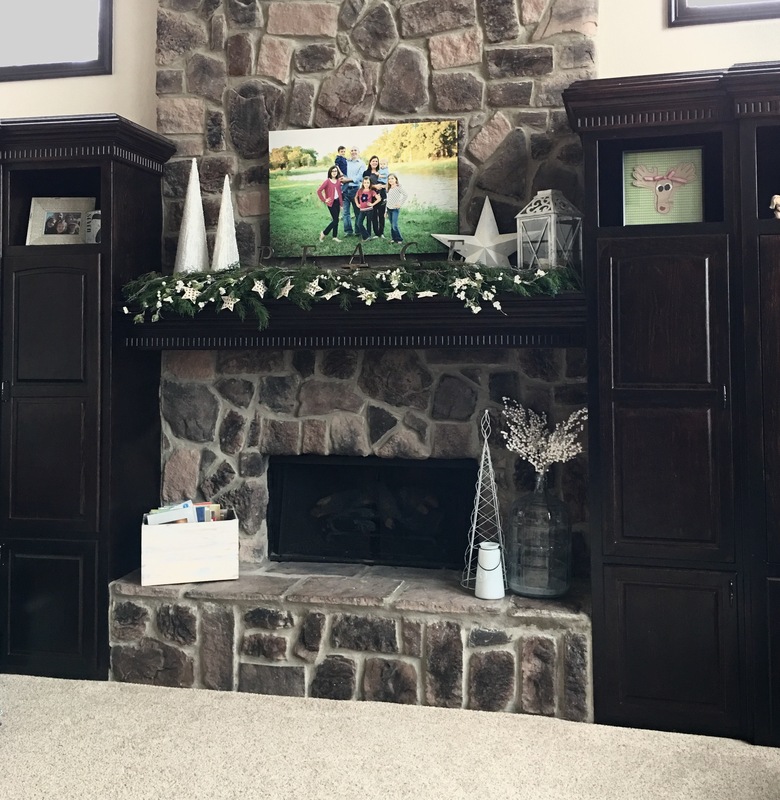 I added a few more touches to the mantle decor for my client and wanted to show you how it came out! The stain on the box just didn’t match the rest of her decor so I gave it a facelift! I sanded it down, and did a whitewash on the outside. 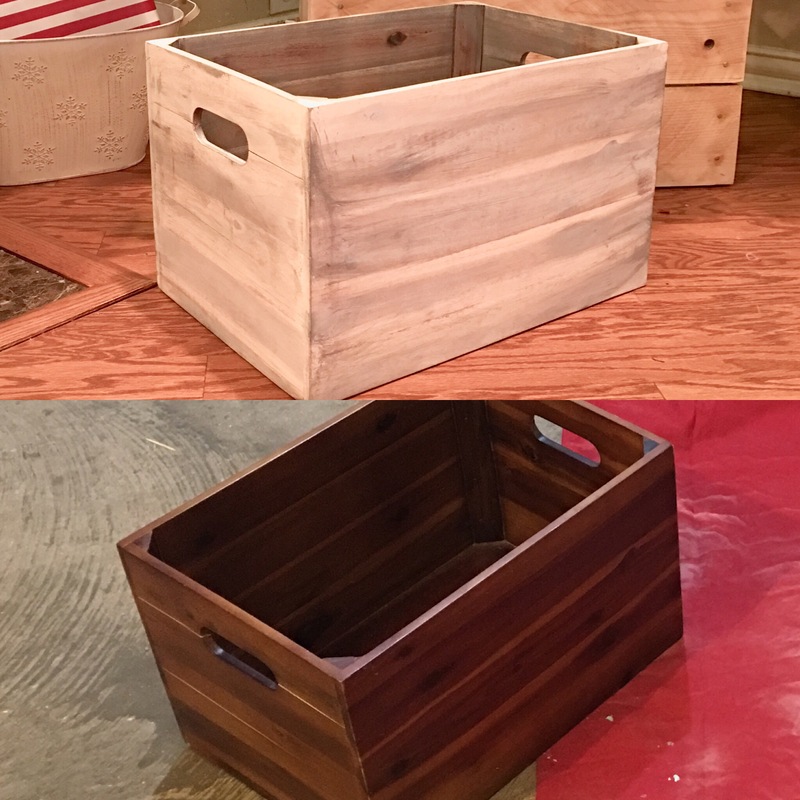 I was worried that the paint may stick to the books if I used it on the inside of the box, so instead I stained the wood a nice grey. I also “washed” the grey stain over the paint on the outside of the box to distress it a little. It was a really quick, simple project. 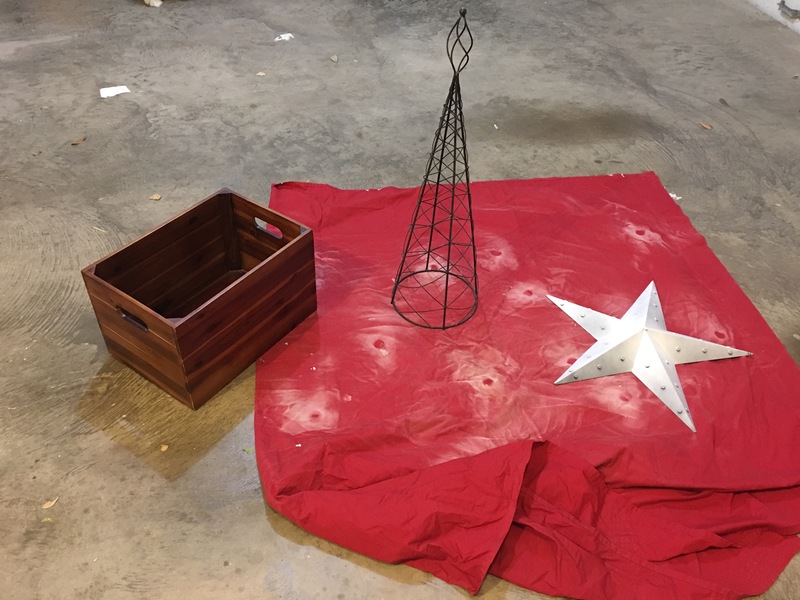 I found the star years ago at Home Goods. It was black and I forgot to take a picture before I spray painted it. Doesn’t it look amazing in white? Funny story: I bought the star when we lived in Vegas, and later, I hung it on the outside of our home in Colorado. For some reason, people would ask if we were from Texas because we had a star on the outside of our home! Back then I never dreamed that one day, I would actually live in Texas! Ok, back to the mantle: I found the metal tree at a flea market. It was getting lost on her stone fireplace, so I sprayed that white as well! I found the white trees and spray at one of my favorite decor stores. The “peace” letters are actually stocking holders that my client had in her decor! 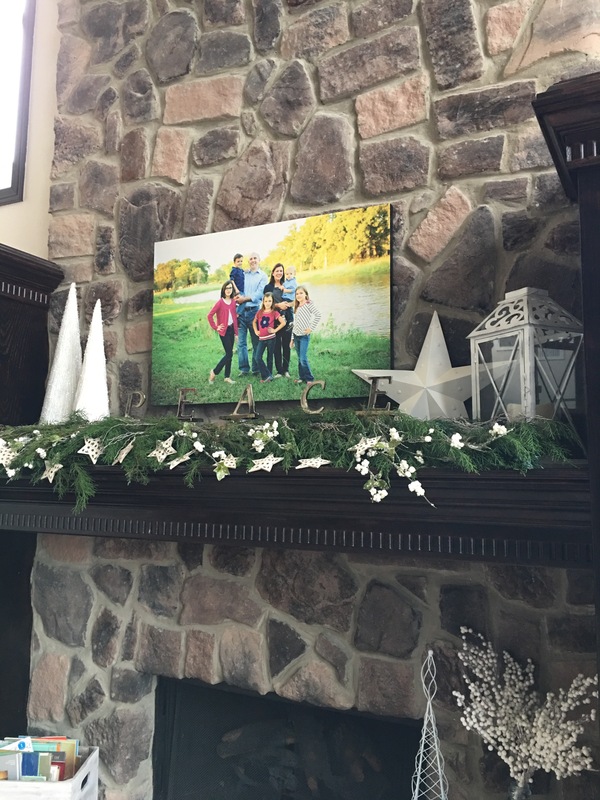 I just love how the little touches of white pop and brighten up the mantle while still feeling fresh and rustic! I was so lucky to get to decorate this little corner!